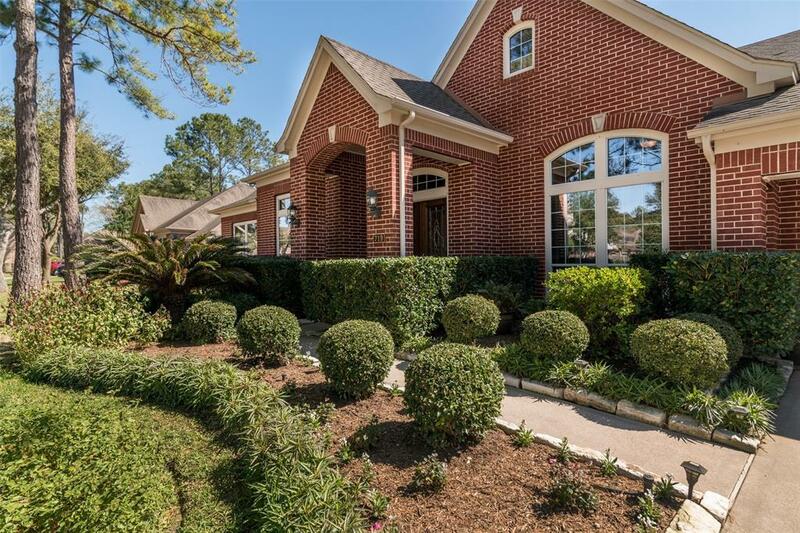 Your dream home awaits nestled in the trees of "The Forest" community in Friendswood. 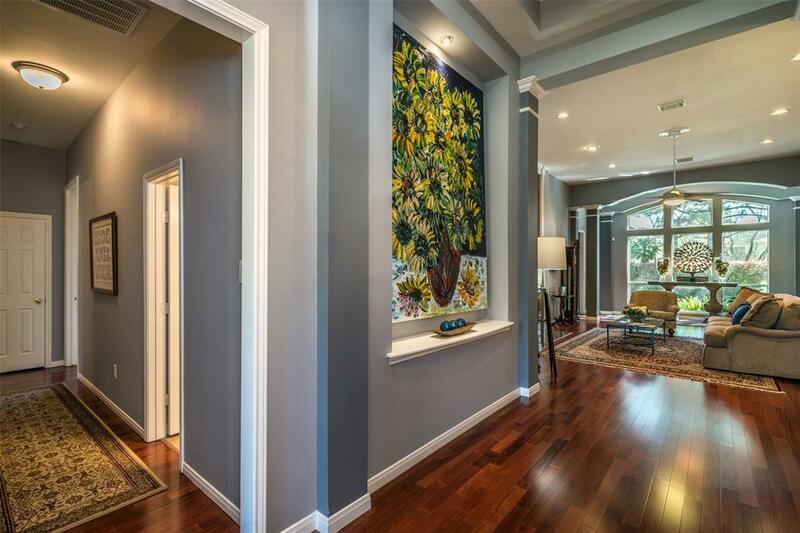 This unique property is one of a kind and all on one floor. 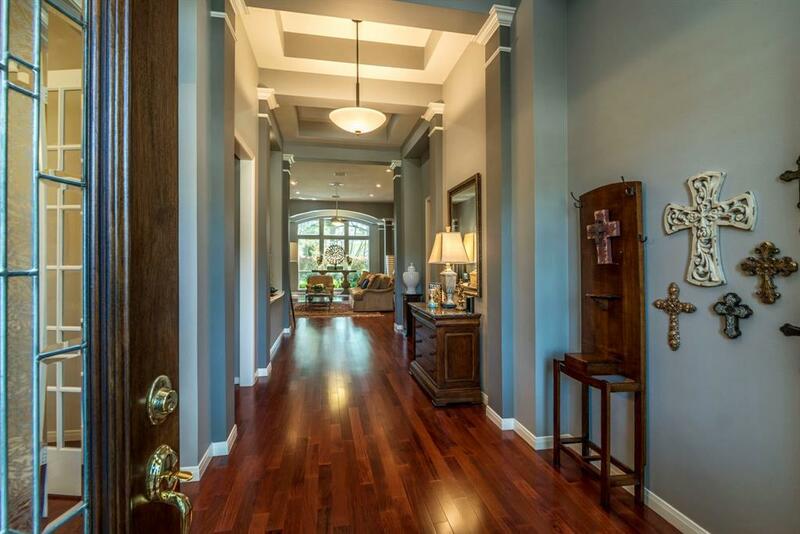 Entering this home you will be greeted by the expansive foyer with exotic Brazilian Mahogany flooring which reaches through the house. Tall ceilings & stately columns adorn the dining and living rooms. A separate grand family room with open granite countered kitchen, breakfast bar and morning area are brightly lit through the many windows. Stepping out onto the patio you can enjoy the manicured green space behind the property accessed through the owners private gate. 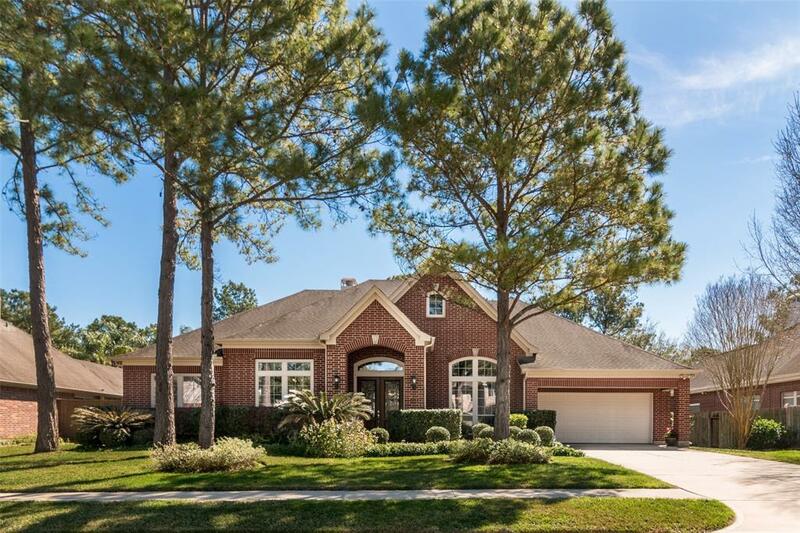 The master retreat is a get away with sitting area and huge master bath. The master bath has separate shower, jetted tub & dual vanities. Closet space for two, no problem with dual walk in closets in the master. The home sports a 3rd garage converted to storage/workshop space and is wired for 110 and 220 connections. Recent dual AC & Water heaters. NO FLOODING!